island in the eastern area of Ayutthaya in present Phai Ling Sub-district, Moo 4. 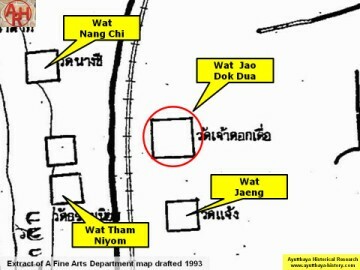 (1) was located between Wat Yom Mon and Wat Yom Thai (Wat Thamma Niyom). reconnaissance trip in February 2009. 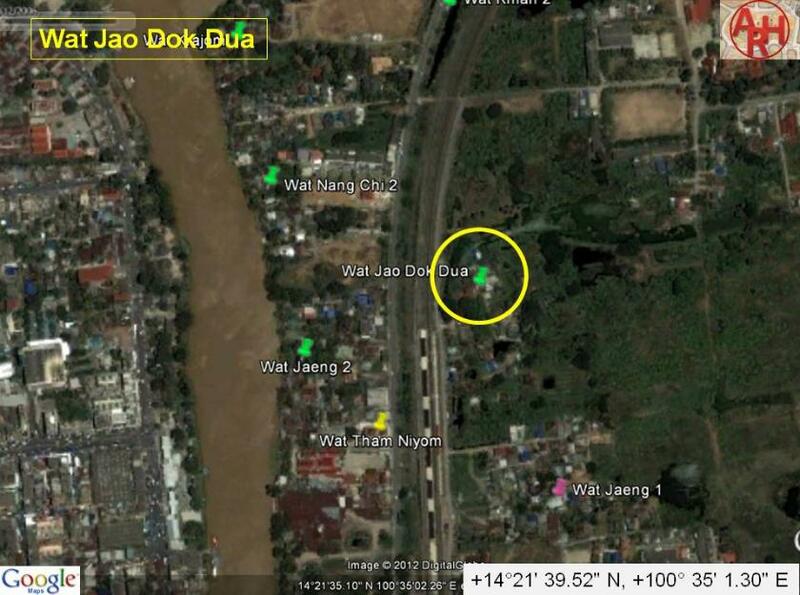 Dua, situated a bit south of this place along Khlong Ban Bat in the same sub-district. 2007 FAD GIS map. 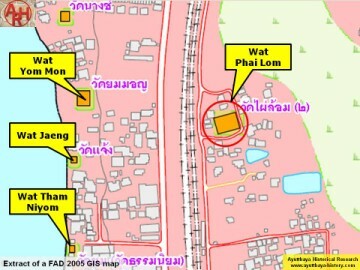 On the latter map the monastery is denominated Wat Phai Lom. The site is situated in geographical coordinates: 14° 21' 39.52" N, 100° 35' 1.30" E.
 A History of Siam - William A.R. Wood (1924) - page 238.